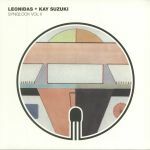 Review: It's been four years since Leonidas and Kay Suzuki first joined forces on Synqlock Volume One, so this follow-up is long overdue. 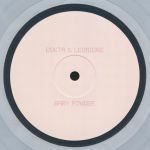 After setting their stall out via the wonderfully hazy cosmic ambience of "Interstellar Meditation", the duo charges towards the dancefloor via the early Chicago acid revivalism of "Asteroid (Jackin Acid Dub)", before laying down an emotion-rich chunk of loved-up space disco fit for glowing orange sunsets and elongated sunrises (the original version of "Asteroid"). The EP also includes a terrifically warm and spacey remix of wonderful ambient cut "Undercurrent" by rising star Al Kassin. The latter utilizes some sounds more often found in nu-disco workouts, but remains a shimmering deep house treat.